Día de Muertos or The Day of the Dead is a festive way to celebrate those that we have lost this year. Some choose to celebrate a special someone, while there are those who want a way to honor that archived cache that we wished could have lived forever. 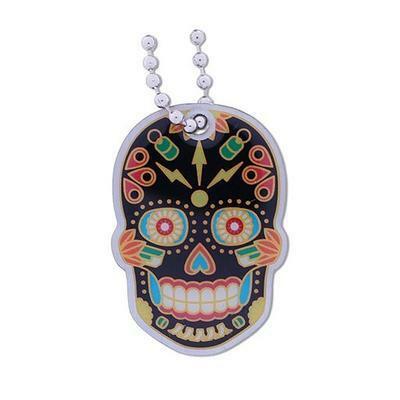 Let those spirits live on and travel from cache to cache with the Día de Muertos Trackable Travel Tag! Size 2,5 x 3,75 cm.